I know the children were young, and we haven’t really had an oppertunity to get to know them, but I’m forging ahead anyways. Here they are all grown up! D’waaaaaw… Please cast your vote below. 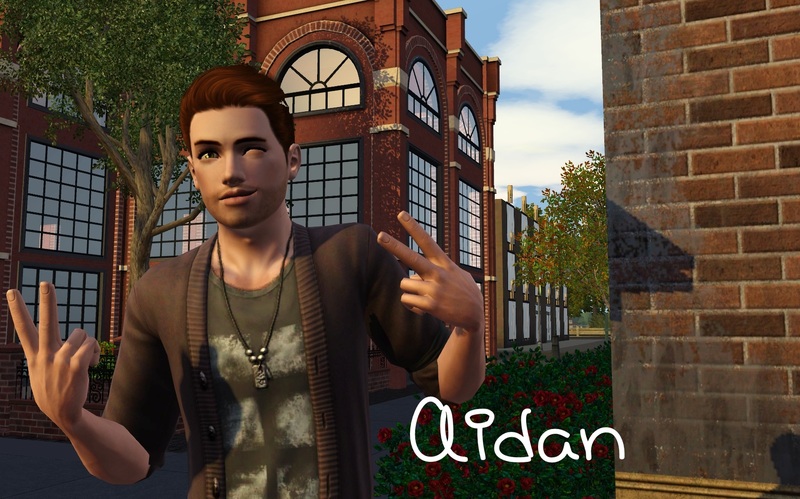 Bio: Aidan has a knack for getting into trouble, although his heart is usually in the right place. He’s a great older brother, and plays that roll to the best of his ability. He’s a natural athlete, having played football in high school, and dated just about every girl in town, but deep down he’s a good guy at heart with a lot to offer the right girl. Will he ever be able to settle down and find someone special, or is he destined to play the field? I’m sure anything you think of will be good though! I just had to choose Aiden! Oh, and just a small add-on to my previous comment. Excuse me if my memory is a little worn out. Are you going to be doing an character-casting calls in the legacy? Well I voted 😀 and I can’t wait for generation 2! I liked Bailey and Addison the best because of their issues. Thought it would be more entertaining to come up with a story line for such flawed characters. 🙂 Thanks so much for voting!!! I voted Addison. To me she stuck out the most. I’m sure you will do an awesome job on whomever gets picked. Can’t wait to read what’s in store for all of them. Addison thanks you for your vote! OMG I know. I’m excited, and humbled by the amounts of votes I’ve received. I can’t wait to get started on the next generation! Lordy!! Voted! I’m glad other people want Aidan too!